What is a Yamaha SMAX? Browse Yamaha SMAX Motorcycles for sale on CycleTrader.com. 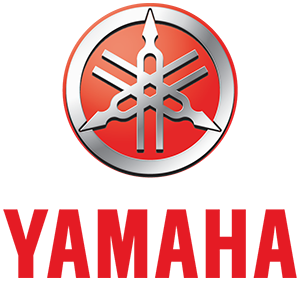 View our entire inventory of New Or Used Yamaha Motorcycles. CycleTrader.com always has the largest selection of New Or Used Motorcycles for sale anywhere. 2018 Yamaha Smax, Easy Financing, Low Payments, Call Now, Ride Today. 321-312-4352 2018 Yamaha Smax A SCOOTER WITH SPORT The SMAX sport scooter features a 155cc engine, auto transmission and sporty handling. Features may include: Engine Potent, Economical Engine Advanced 155cc engine is smooth, quiet and produces outstanding power for commuting or highway riding. Plus, it makes the most of every gallon with 81 mpg* fuel economy. Responsive Performance The engine has a linear power feel that pulls through the powerband delivering excellent acceleration and a sporty ride experience. Automatic Convenience There is no need to use a clutch or shift gears with the durable and reliable continuously variable transmission (CVT) and that makes riding the SMAX fun and convenient. Chassis/Suspension Modern Chassis Frame design makes for a sporty, well-handling machine while still providing plenty of foot space for the rider. Plush Suspension Mid-ship, horizontally-positioned rear shock offers 3.7” of travel for added rider and passenger comfort. Confidence-Inspiring Traction Wide, high-grip 13-inch tires front and rear offer excellent grip and comfort. Additional Style and Function Sporty 3-gauge meter is easy to see and provides great rider information. LED position lights and tail light improve visibility and add to the sporty style. 2019 Yamaha Smax, CALL 440-322-775 OR TEXT 216-906-4722 FOR PRICE 2019 Yamaha Smax PERFORMANCE SPORT The best way to start your sport scooter adventure, 155cc engine, auto transmission, light, sporty handling and under seat storage. Features may include: Engine Potent, Economical Engine Advanced 155cc engine is smooth, quiet and produces outstanding power for commuting or highway riding. Plus, it makes the most of every gallon with 81 mpg* fuel economy. Responsive Performance The engine has a linear power feel that pulls through the powerband delivering excellent acceleration and a sporty ride experience. Chassis/Suspension Modern Chassis Frame design makes for a sporty, well-handling machine while still providing plenty of foot space for the rider. Plush Suspension Mid-ship, horizontally-positioned rear shock offers 3.7” of travel for added rider and passenger comfort. Additional Style and Function Sporty 3-gauge meter is easy to see and provides great rider information. LED position lights and tail light improve visibility and add to the sporty style. The best way to start your sport scooter adventure, 155cc engine, auto transmission, light, sporty handling and under seat storage. Top Features Potent, Economical Engine: Powerful 155cc, liquid-cooled 4-stroke, SOHC fuel-injected engine is highly fuel efficient while producing excellent acceleration and power for commuting or highway riding. Automatic Convenience: Continuously Variable Transmission (CVT) makes operating the SMAX a snap without the need to use a hand clutch or shift gears. Step-Through Design: The SMAX features a roomy frame designed for overall balance and provides plenty of foot space. On-Board Storage: Large storage area that holds approximately 32 liters of under seat storage - big enough for a full face helmet or groceries. Premium Accommodations: Two-up riding is comfortable for both riders, featuring a spacious, well laid-out design and standard windscreen. Engine Features Potent, Economical Engine: Advanced 155cc engine is smooth, quiet and produces outstanding power for commuting or highway riding. Plus, it makes the most of every gallon with 81 mpg* fuel economy. Responsive Performance: The engine has a linear power feel that pulls through the powerband delivering excellent acceleration and a sporty ride experience. Automatic Convenience: There is no need to use a clutch or shift gears with the durable and reliable continuously variable transmission (CVT) and that makes riding the SMAX fun and convenient. Chassis/Suspension Features Modern Chassis: Frame design makes for a sporty, well-handling machine while still providing plenty of foot space for the rider. Plush Suspension: Mid-ship, horizontally-positioned rear shock offers 3.7" of travel for added rider and passenger comfort. Confidence-Inspiring Traction: Wide, high-grip 13-inch tires front and rear offer excellent grip and comfort. Advanced Brakes: Large 267mm front and 245mm rear disc brakes maintain consistent stopping power. On-Board Storage: Approximately 32-liter underseat storage space will fit a full face helmet or groceries. Step-Through Design: Relaxed riding position and flat foot space allow outstanding rider comfort. 2019 Yamaha Smax, 2019 Yamaha Smax PERFORMANCE SPORT The best way to start your sport scooter adventure, 155cc engine, auto transmission, light, sporty handling and under seat storage. Features may include: Engine Potent, Economical Engine Advanced 155cc engine is smooth, quiet and produces outstanding power for commuting or highway riding. Plus, it makes the most of every gallon with 81 mpg* fuel economy. Responsive Performance The engine has a linear power feel that pulls through the powerband delivering excellent acceleration and a sporty ride experience. Chassis/Suspension Modern Chassis Frame design makes for a sporty, well-handling machine while still providing plenty of foot space for the rider. Plush Suspension Mid-ship, horizontally-positioned rear shock offers 3.7” of travel for added rider and passenger comfort. Additional Style and Function Sporty 3-gauge meter is easy to see and provides great rider information. LED position lights and tail light improve visibility and add to the sporty style. 2019 YAMAHA SMAX CANDY RED, SOHC fuel-injected engine is highly fuel efficient while producing excellent acceleration and power for commuting or highway riding. 2019 Yamaha Smax, We will not be undersold! Call Roy or Blake in the Web Dept for a price quote today! 2019 Yamaha Smax PERFORMANCE SPORT The best way to start your sport scooter adventure, 155cc engine, auto transmission, light, sporty handling and under seat storage. Features may include: Engine Potent, Economical Engine Advanced 155cc engine is smooth, quiet and produces outstanding power for commuting or highway riding. Plus, it makes the most of every gallon with 81 mpg* fuel economy. Responsive Performance The engine has a linear power feel that pulls through the powerband delivering excellent acceleration and a sporty ride experience. Chassis/Suspension Modern Chassis Frame design makes for a sporty, well-handling machine while still providing plenty of foot space for the rider. Plush Suspension Mid-ship, horizontally-positioned rear shock offers 3.7” of travel for added rider and passenger comfort. Additional Style and Function Sporty 3-gauge meter is easy to see and provides great rider information. LED position lights and tail light improve visibility and add to the sporty style. Brand new 2019 Yamaha SMAX XC155 S Max with full factory warranty. Please email or call Brian "BONES" O'Neill at 888-412-9070 x135 to make purchase arrangements. 2019 Yamaha Smax, CALL TODAY WE HAVE EASY FINANCING TO GET YOU RIDING !!!! 2019 Yamaha Smax PERFORMANCE SPORT The best way to start your sport scooter adventure, 155cc engine, auto transmission, light, sporty handling and under seat storage. Features may include: Engine Potent, Economical Engine Advanced 155cc engine is smooth, quiet and produces outstanding power for commuting or highway riding. Plus, it makes the most of every gallon with 81 mpg* fuel economy. Responsive Performance The engine has a linear power feel that pulls through the powerband delivering excellent acceleration and a sporty ride experience. Chassis/Suspension Modern Chassis Frame design makes for a sporty, well-handling machine while still providing plenty of foot space for the rider. Plush Suspension Mid-ship, horizontally-positioned rear shock offers 3.7” of travel for added rider and passenger comfort. Additional Style and Function Sporty 3-gauge meter is easy to see and provides great rider information. LED position lights and tail light improve visibility and add to the sporty style. PERFORMANCE SPORTThe best way to start your sport scooter adventure, 155cc engine, auto transmission, light, sporty handling and under seat storage. 2019 Yamaha Smax, Easy Financing, Low Payments, Call Now, Ride Today. 321-312-4352 2019 Yamaha Smax PERFORMANCE SPORT The best way to start your sport scooter adventure, 155cc engine, auto transmission, light, sporty handling and under seat storage. Features may include: Engine Potent, Economical Engine Advanced 155cc engine is smooth, quiet and produces outstanding power for commuting or highway riding. Plus, it makes the most of every gallon with 81 mpg* fuel economy. Responsive Performance The engine has a linear power feel that pulls through the powerband delivering excellent acceleration and a sporty ride experience. Chassis/Suspension Modern Chassis Frame design makes for a sporty, well-handling machine while still providing plenty of foot space for the rider. Plush Suspension Mid-ship, horizontally-positioned rear shock offers 3.7” of travel for added rider and passenger comfort. Additional Style and Function Sporty 3-gauge meter is easy to see and provides great rider information. LED position lights and tail light improve visibility and add to the sporty style.